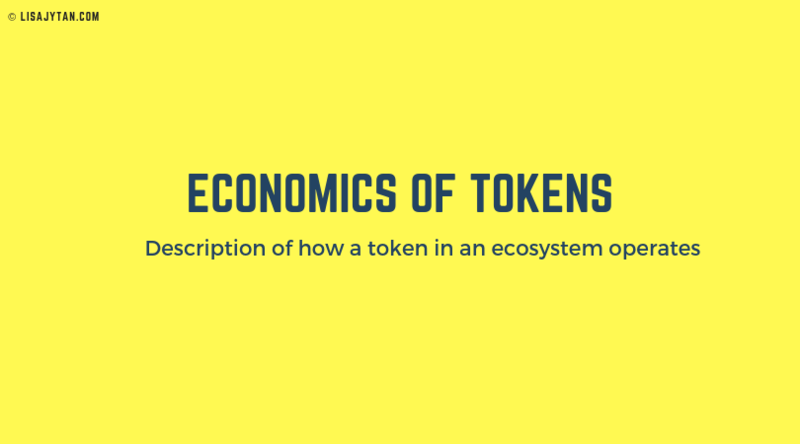 Token economics and tokenomics are terms used by many people today. 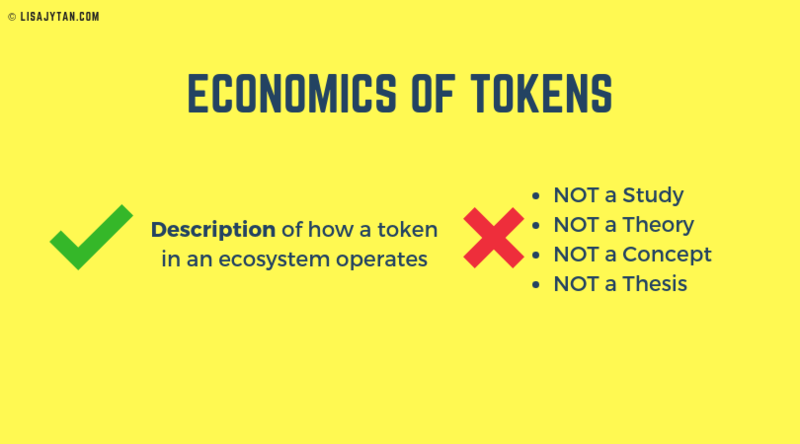 Today, I am making an announcement and changing the term to “economics of token”, “economics of tokenisation”, “token ecosystem” and “token network engineer”. What does Economics of Token mean? Economics of token is the description of how a token in an ecosystem operates. Tokens are representation objects in a network and system. As economists and engineers, we seek to describe (and ideally design) how the tokens operate in the specific network system. We can engineer to a certain degree its behaviour or outcome*, subjected to the various constraints** and objectives*** of the network. It is a very new field in Economics, driven by the development of technology (i.e. distributed ledger technology). This means that there will be new economic concepts and research studies that will develop in the near future. Outcome*: what the final result or output the token creates in the system. A study. It is not a yet a study, as we do not have enough research available to call it that. A theory. There is no formal theory behind it yet. A concept. There isn’t enough proof yet, to define the concept. Tokenomics and token economics will be a new vertical of traditional economics with in-depth research and papers. The current state is NOT it. As economics in this area develops further, we will have more research-backed proves and journals to define this space. Right now, it is very new. As much as there are economists and articles (and some academic papers) talking about the various pillars of economics of tokens, we still do not have proper formal study of the entire “economics of tokens” ecosystem. I have been creating and researching a simple framework to show the entire economics of tokens ecosystem. And this framework matches economic concepts in the physical world to the economics of tokens in the digital space. In the near future, I hope to see Tokenomics and Token Economics as a new specialisation in the field of Economics. 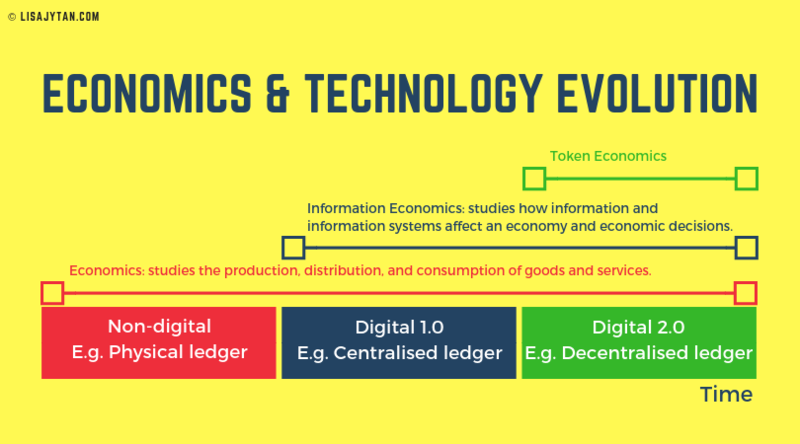 Like how the digital world created Information Economics, this development of technology will create Token Economics. I’m excited for our future! I hope you are too. This field is will change the course of our future. Be the change you want to be. Study economics!